It's commonly stated by numerous people that LSD and trytamines like DMT and psilocin are physically harmless and not neurotoxic. Is there evidence for this? I recently read 5-meo-Dipt which is a tryptamine might be neurotoxic. 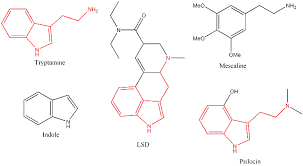 Why would 5-meo-Dipt be neurotoxic but DMT and psilocin not be? From my understanding some people micro-dose with LSD and some tryptamines to feel sharper and increase felt intelligence. Why would one tryptamine neurotoxic and others make someone feel more intelligent? Obviously "feel" is self reported and subjective, but I'm assuming there might be some truth to this if people aren't tripping when experiencing these micro dosing effects. LSD isn't a tryptamine, but I think some people do similar things with tryptamines. I'm hoping someone with a better understand of neurology can answer this. To restate my question are typtamines and LSD generally neurotoxic and if not, could you please link to a study on it and what mechanism makes 5-meo-dipt possibly different, could other factors might have lead to a wrong conclusion, like for example harmful environment stress on rats or do you think all tryptamines are neurotoxic? I'm trying to understand the possible reasons or lack there of for neurotoxicity in LSD and tryptamines but there seems to be lack of reliable sources. All neuropsychopharmaceuticals, including the tryptamines, are potentially neurotoxic depending on the dose at which they are ingested. First off, LSD is a tryptamine (Shulgin, & Shulgin, 1997), see Fig. 1. Neurotoxicity occurs when the exposure to natural or manmade toxic substances (neurotoxicants) alters the normal activity of the nervous system. This can eventually disrupt or even kill neurons, key cells that transmit and process signals in the brain and other parts of the nervous system. are tryptamines, including LSD [sic] generally neurotoxic? Then the answer is yes, depending on the dose. Reversely, then, every neurotoxin becomes non-toxic once taken below a certain threshold dose. If this is what you refer to by 'microdosages', then yes, even the most potent toxin becomes harmless. To specifically answer your question with regard to LSD and psilocin: LSD is suspected to be neurotoxic at clinically applied dosages (Larsen, 2014), and psilocin can result in convulsions and death follow massive overdose (Gold et al., 2003). Not the answer you're looking for? Browse other questions tagged neuroscience psychopharmacology or ask your own question. How can pain sensations appear to originate within the person's skull?